With technology today, you have plenty of options for managing the heating and cooling in your home. Whether you’re looking for a system that can lower your energy costs or learn your habits for more efficient use of energy, consider a few of these high-tech ways of managing your HVAC system. A programmable thermostat helps make your home more energy efficient and comfortable by automatically adjusting the heat or air depending on a schedule you input into the device. It can make sure the HVAC system doesn’t heat or cool a house when no one is home, yet kick on just in time for you to walk into a comfortable environment. If you want to make your programmable thermostat even more high-tech, opt for one that you can also control with your smartphone. By downloading a compatible app, you can set up reminders to change the filters and adjust your thermostat from anywhere. 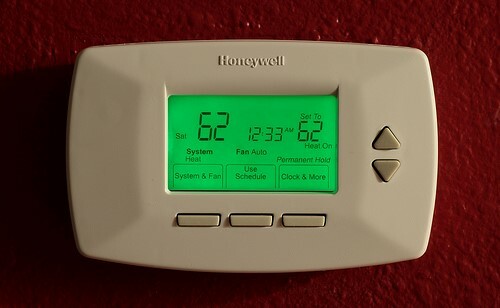 Like a programmable thermostat, a learning thermostat will help cut your energy costs and keep your house comfortable. However, as the name suggests, this high-tech system actually learns your temperature preferences and schedule to create a program perfectly suited for your life. A learning thermostat uses built-in sensors and your phone’s location to know when to cool or heat your home. You can also use your smartphone to manually adjust the temperature. Best of all, these thermostats can save you up to 15 percent on your cooling bills and up to 12 percent on your heating bills. While you may live in an area that experiences high temperatures in the summer and below-zero temperatures in the winter, the temperature just a few feet below ground remains relatively constant. A geothermal heat pump uses this constant temperature to efficiently keep your home comfortable. There are four ground loop systems available and deciding on the one best for your needs depends on costs, climate, available land, and soil conditions. Central air conditioning cools your entire house at once, which is great if you have someone in every room of the house all the time. However, that’s usually not the case. So you end up cooling rooms of the house you hardly ever use, and waste money by doing so. However, a ductless system can help you cool your home more efficiently by cooling just one room or zone instead of the entire house. Plus, similar to previous options, you can control this system from just about anywhere using your smartphone or tablet. Solar energy harnesses the clean and renewable energy from the sun to generate electricity, heat water, and provide a comfortable interior. While solar energy was once considered too costly for the average household, advances in technology and manufacturing are bringing these costs down. Today, between tax credits with the GOP tax plan, and rebates, solar energy is becoming a more affordable high-tech solution. From apps that help you manage your thermostat even when you’re not at home, to advancements in heating and cooling systems, these high-tech ways to manage your HVAC can keep your house comfortable and energy efficient.